One of the popular places in the city, Lake Tamblingan is a caldera lake established in the Buleleng Regency of Bali. It is one of the three popular lakes inside an ancient caldera with the other two lakes being lake Buyan and lake Bratan. The lake Tamblingan is a gem amongst the attractions in the Bali, with its surrounding rain forest. The place also beholds the archaeological remnants of 10th-century Tamblingan civilization. Come here to dig out the history and culture or check out the amazing landscape of greenery and nature. Those who like clicking pictures will find a lot to do here. Once done with the natural and archaeological aspects of the place, you can delve into the spirituality found in the settlements outside. A must visit in Bali for sure. Explore Tamblingan Lake and other prime spots of the city using Bali trip planner. Oomph up your visit by adding the best hotels in Bali like The Peacock Inn, Alas Petulu Cottages and Batu Empug Ubud. Explore the best Bali vacation packages that will take to you important landmarks of the city! For getting in, check out how to reach Bali. It is better to take guided tours. Guided tours have their own prices which differ accordingly. How popular is Tamblingan Lake? People normally club together Munduk And Melanting Waterfalls and Tamblingan Lake while planning their visit to Tamblingan Lake. 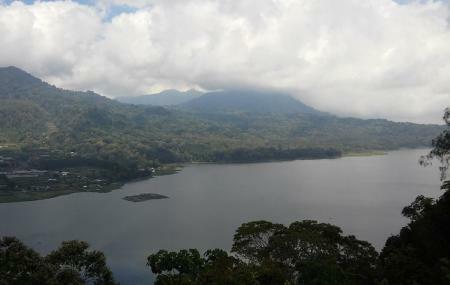 Most pure natural lake than others lake in Bedugul area. The good place for the good life. When you come to the bali, you must visit this place you will love it.